Wondering if a chiropractor can get rid of or at least minimize your sciatic nerve pain? Many people who are diagnosed with sciatica choose to see a chiropractor for treatment. While many people tend to believe that sciatica is a disorder, it is not. Instead, sciatica is a symptom of a disorder. This aspect makes it necessary for those who have been diagnosed with sciatica to understand what disorder has caused them to receive a sciatica diagnosis. Spine Universe tells us that the purpose of chiropractic treatment is to help the body’s potential to heal itself. Sciatica pain is caused when pressure is placed on nerves that start in the lower back and run down the back of one or both legs. Every patient is different, which means that the pain can be minimal, moderate or severe. It also indicates that the pain can come and go or stay constant. Other symptoms besides pain can also be experienced, including burning, numbness, and tingling, making it so that those who have been diagnosed need to seek treatment to find relief. Some of the more common disorders that are known to cause sciatica pain in patients include having misaligned vertebrae, having a herniated or bulging discs, pregnancy and childbirth, being diagnosed with a tumor, being diagnosed with a health issue like diabetes, being diagnosed with severe constipation and even sitting on a wallet when in someone’s back pocket. For someone to receive proper treatment for his or her sciatica, they will need first to understand why they are suffering from sciatica nerve pain. Yes, they can. Because chiropractic treatments involve treating the whole body, a chiropractor will first want to understand the reason behind someone's sciatica diagnosis. They will first review a patient’s medical history to understand their background. They will then perform a physical and neurological examination to give them more information about their patient's overall health and well-being. Lastly, they will complete any diagnostic testing that can lead to a correct diagnosis, which can include taking X-rays, an MRI or any other electrodiagnostic tests they deem to be necessary. A chiropractor will use natural therapy options to provide sciatica nerve pain relief to their patients. 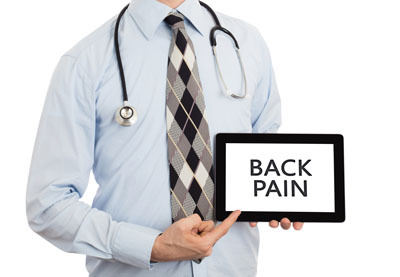 These options can often include spinal adjustments, cold and hot therapies and ultrasound therapies. If you are ready to find out if chiropractic services can help to relieve any pain you are feeling due to your sciatica diagnosis, they all you have to do is give us a call so we can make an appointment for you. There is nothing you need to do to prepare for them, so we hope to hear from you soon! Request an appointment in our Indianapolis office here: http://www.woodsindychiro.com.